Before the internet, you had to ask a girl friend for advice on how to break up a relationship. Or if you were lucky, there’d be a how-to article in a woman’s magazine. Nowadays, all it takes is a simple google query, and all of your answers are solved. The secrets of ruining another person’s life are at your fingertips! Back in the day, a girl friend would have talked some sense into you. She would have told you that you’re as unlikely to get a Taurus man to leave his girlfriend as you are to rouse a lazy bull from his resting spot. Why would any creature of habit who’s living the good life be tempted to do things differently? Your girl friend would also have told you that you’d be stupid to think that a guy who leaves his wife for you wouldn’t do the same to you later on. But no, with the beauty of the internet, if you don’t find the answer you want, there’s always 729,000 more websites to browse, until you find what you were looking for. So shut down your computer and give your gal pal a call. She’ll tell you to put your energy into a man who’s actually available. You see, not only are you drawn to a man you can’t have, you’re drawn to a Sun sign that is least likely than any other sign to ditch his girl for you. Maybe therapy is what you need! Comment below: How successful have you been in getting a Taurus guy to leave his girlfriend or wife? 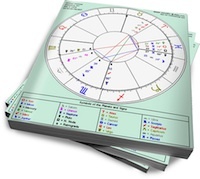 A man w/ taurus sun or rising is oddly enough not a stable persona for relationships. Even more odd, after interacting w/ a few, is that security is as elusive to them as it is for a cancer or scorpio. When the going gets tough and situations require a show of stability, it’s like trying to get a toddler to take a nap. The endless display of d–k swinging, crude language, must have last stance, must turn into stone, blow up at any time and never apologize is not exactly the definition of stability. A taurus wants a personal workhorse, someone to crudely fill in their missing gaps so that they can somehow take credit for qualities they don’t innately possess nor would acquire on their own. In a work situation, whether male or female, intensely unappreciative and snarky. I had a boss, taurus female w/ aries signature, that would manipulate & at times outright bully ppl into charitable contributions, boast about it and then be up your a** about appreciation. Soz, but not too many employees would be happy about having their pay cut, then financially manipulated into a co-workers charity and then somehow muster appreciation of their own. In the end, they want to buy you, no matter your association because if they believe they can, they have no reason to change a thing, believing that you now owe them gratuities. Good luck if you lasso a taurus anything, yet I personally wouldn’t dare if you’re of soundness.